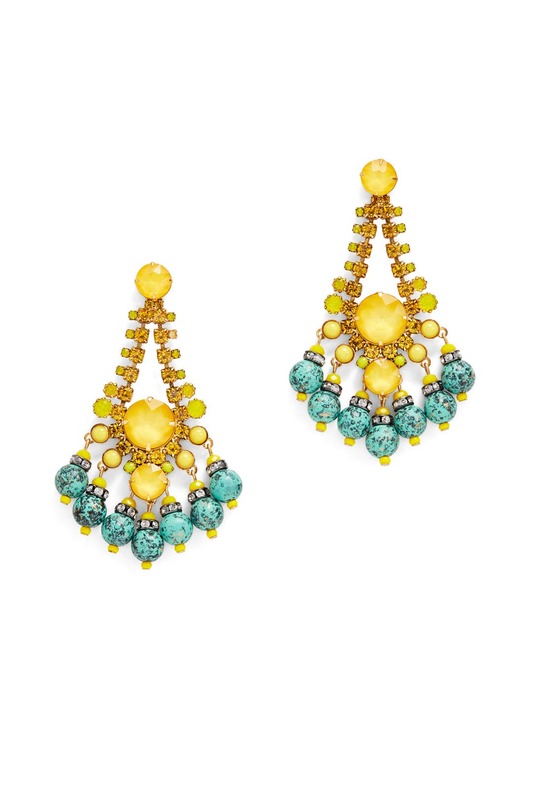 A fanciful finishing touch, these crystal Elizabeth Cole earrings make a dramatic statement. 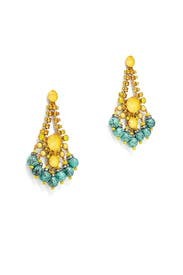 Gold plated statement earrings with yellow Swarovski crystals and turquoise accent stones. Post backs for pierced ears. 3" long.